The Worthless Checks Section, which is part of the Economic Crime Unit, attempts to help victims of worthless check crimes by either securing restitution or processing criminal complaints against those who issue worthless checks for goods or services. The check is considered worthless if there are not sufficient funds (NSF) or if the account is closed. On this page, we provide you with the procedures the Jefferson Parish District Attorney’s Office recommends that you follow in seeking to recoup your losses should you become the victim of a worthless check writer. We also provide some tips on how to avoid becoming a victim. If you want to protect yourself from losses due to bad checks, there are certain steps you may follow that can have a big impact on your success. Many of the most important rules of thumb apply at the moment you accept the check for payment. State statutes, local requirements and simple practicality also influence what can or cannot be done to recover a loss due to a bad check. There are certain procedures you must follow before this office will accept a returned check for prosecution. 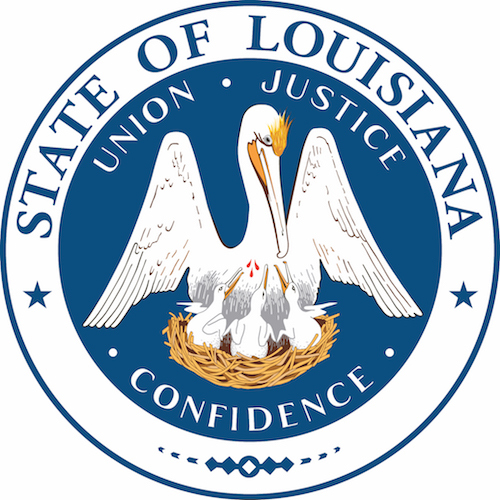 Issuing worthless checks is detailed in Louisiana law (Revised Statute 14:71). Checks must have been received in Jefferson Parish and must have been in exchange for something of value, whether cash, services, merchandise, rent or other. Checks must have been processed by the drawee bank and subsequently stamped NSF, account closed, no account, etc. 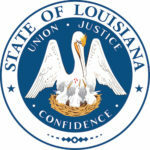 Stop payment checks are not covered by La. R.S. 14:71, but may be referred to an appropriate police agency or civil court. Complete identifying information is required for prosecution, including the check issuer’s address, driver’s license number, date of birth, etc. A complaint involving a company check must be filed against the individual who actually signed the check. You must send a certified demand letter, return receipt requested, to the check issuer, advising him of the dishonored check and allowing him 10 days within which to make payment. This letter must be sent to the person signing the check before the matter can be submitted to the District Attorney’s Office for potential prosecution. 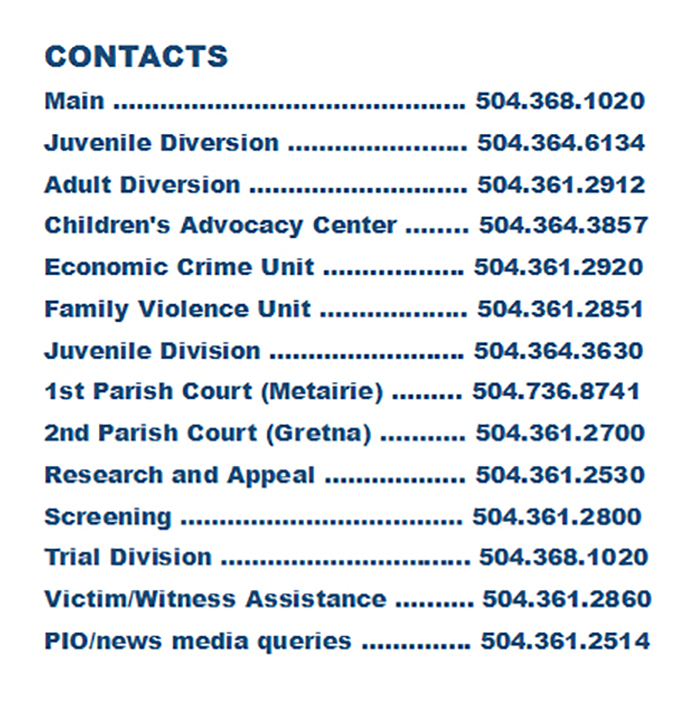 Complaints may be filed in person or by mail to Worthless Check Section, District Attorney’s Office, 200 Derbigny St., Gretna, LA 70053. Include a complete affidavit, the original check and certified documentation returned by the Post Office. A PDF version of the affidavit can be found at the bottom of this page. Please use black ink when filling out the affidavit. You must notify this office of any change of address or telephone number so that we may contact you when necessary. Once a complaint is filed, you may not accept payment from the accused. If an attempt at payment is made, please notify this office immediately. Is the check properly dated? Checks must be dated the same day they are issued. Worthless checks that are post-dated cannot be prosecuted. Is the signature legible? Do not accept checks that are previously signed, as pre-signed checks often are trouble. Have the person giving you the check sign it in your presence and compare the signature with photograph identification, such as a driver’s license. Driver’s licenses are best, as are military identification cards. Is the address complete? Require a permanent street address, not a post office box number, unless you know the writer. Can you confirm identity? Every kind of identification can be forged. The most reliable are the ones with physical descriptions, photographs, etc. If you are suspicious, ask the writer to hand you the license. While it is in your hand, ask his address and/or birth date. If it is not his license, he may be caught off guard and give the wrong information. Do written amounts and numbers correspond? Carefully read both versions of the amount. If they don’t match, don’t accept the check. Banks will not honor checks with discrepancies. Is the identification used recorded on the check? Record the type of identification and identification numbers on the check as well as the initials of the clerk who accepted the check. It is important to get as much information as possible. The Social Security number is preferred. At a minimum, you must get the person’s name; street address with city, state and zip code; date of birth; phone number; and driver’s license number, state identification number, Social Security number or military identification. A check for which no 10-day notice was given. Be careful of personal checks with low series numbers. About 85 percent of all uncollected worthless checks are new account numbers between 101 and 150. Check the finish on the black magnetic computer numbers on the bottom. Magnetic ink is very dull and never shiny. Look for at least one perforated edge. All checks except government or computer-produced will be perforated. Look for multi-colored checks from large corporations, but beware of “copier color.” Watch for shiny, tacky, raised letters and numbers. These are the best indicators of a copied check.